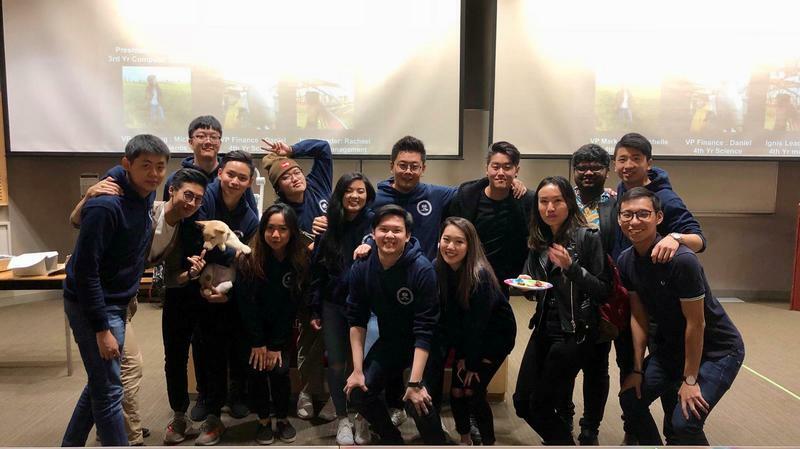 By Wey Lynn Liong - Events Editor · January 23rd, 2019 at 9:30 a.m.
ASA to Host 12th Annual Lunar New Year Event. According to the Chinese Zodiac, 2019 is the year of the pig. Ever wondered why the animals of the Chinese zodiac is different each year? Just like how Christmas is important in Western culture, the Lunar New Year, also known as the Chinese New Year, is important in Asian culture.. It follows the lunar calendar, a special calendar that is based on the monthly cycle of the moon phases. Traditionally, the Lunar New Year happens during winter time and is a celebration of a year’s worth of hard work and harvest. It is also a time when families gather together to wish for a prosperous upcoming year. This year, Lunar New Year falls on February 5. In most countries in Asia, the government usually has a week long break for people to travel back to their hometowns. However, there is no holiday or break during that time for UBCO students to head home and celebrate. 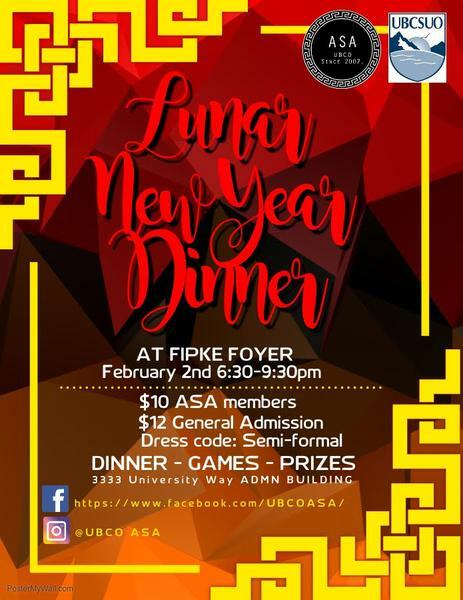 To cater to that, the Asian Student Association (ASA) is hosting their annual Lunar New Year Dinner at the FIPKE foyer on February 2. The ASA has been on campus since 2007, making this the 12th year they’re organizing this event. “I always think that university is like a second home. This is why I want to create this opportunity for students with the same background to have a chance to celebrate,” said Anthony Chang, ASA VP external and event coordinator. The event also offers the opportunity to promote multiculturalism, allowing people outside of the culture to experience the traditions of Lunar New Year. Chang explained that students can dress up, have fun taking photos at the photo booth and embrace the Chinese New Year atmosphere that night. Chang stated that the event aims to engage the community and allow members to incorporate parts of the Chinese culture. The event will hold 12 teams competing against one another throughout the night, named after each zodiac animal. Chang explained that each team will be led by the ASA’s executive members. The Lunar New Year dinner will create a Chinese New Year atmosphere around UBCO. The event is open to members and non-members, students with Asian background and non-Asian students, international and domestic students. The executives are looking forward to the event, and hope to see you there!